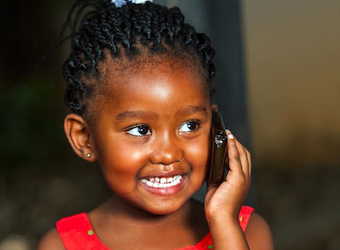 A new forecast nominates 2020 as the year that half the world’s population is connected to mobile internet, and the forecaster, GSMA Intelligence, says Sub-Saharan Africa will lead the boom. The number of mobile internet users globally is set to reach 3.8 billion by 2020, up from 2.2 billion total users in 2013. Sub-Saharan Africa is set to lead the boom, having been the world’s fastest-growing mobile region for the last five years. 49% of the population in this region will be accessing the internet via mobile by 2020, overtaking Europe to become the world’s second-largest mobile market after Asia Pacific. As 3G and 4G connections gain availability in developing regions such as Sub-Saharan Africa, the number of 2G mobile internet subscribers is set to shrink from 900 million to 800 million, while the number of mobile broadband users doubles. Communications technology provider Ericsson expects mobile data traffic in Sub-Saharan Africa to grow 20-fold between 2013 and 2019, twice the expected global growth rate over the same period (from 37,500 terabytes a month in 2013 to 764,000 terabytes a month by 2019). The six largest markets of the total 46 countries together account for over half the region’s unique mobile subscriber base. In order of size, these are: Nigeria, South Africa, Ethiopia, Kenya, Democratic Republic of Congo and Tanzania. ensuring availability on a variety of devices in many languages. The GSMA has released a Code of Conduct for Mobile Money Providers, outlining how businesses can provide safe and responsible digital financial services. Mobile network operators to have endorsed the code represent money deployments in 51 countries and include Airtel, Avea, Axiata, Etisalat, Millicom, MTN, Ooredoo, Orange, Telenor, Vodafone and Zain. GSMA director general Anne Bouverot described mobile as “the gateway to the internet” for billions of people across the world who are currently unable to get online.